Early learners love the satisfaction of recognizing different letters during story time at home or in the reception classroom. 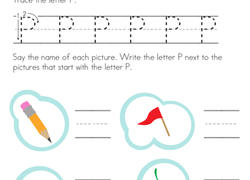 Help your kid remember all the 26 letters with these fun and engaging letter worksheets. 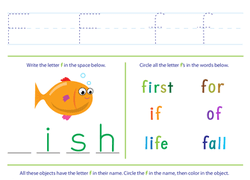 From A to Z we have an illustrated and educational printable to excite your student. 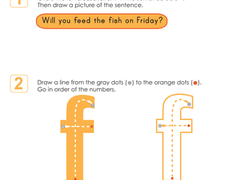 You'll be surprised how fast they go from letter worksheets to Writing worksheets. 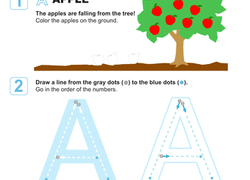 With this worksheet, your child will get great fine motor practise by coloring in the apples, tracing the letter A and then writing some A's on her own. 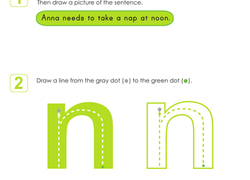 Practise recognizing, tracing, and writing the lowercase letter n with your preschooler or kindergartener with this worksheet. Barn, bell, and balloon all begin with B! 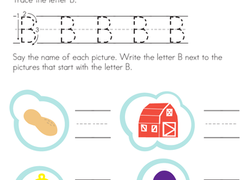 On this prekindergarten writing worksheet, kids trace B and write the letter next to pictures that begin with B. 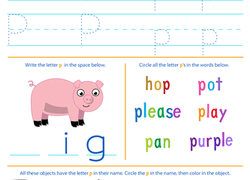 You can help your kindergartener or preschooler become more familiar with finding and writing the lowercase letter y by using this worksheet. 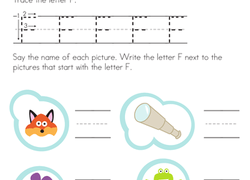 Find the lowercase letter f, trace it, and practise writing f with your year one or reception student on this worksheet! 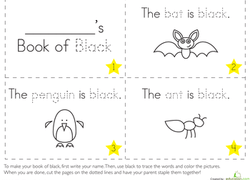 Learn about the colour black with a fun project, where your child can create her own colour book! Giraffe, girl, and gorilla all begin with G! 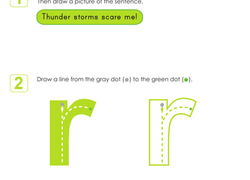 On this prekindergarten writing worksheet, kids practise tracing letters and identifying G.
Get your pencils ready, it's time for handwriting practise! 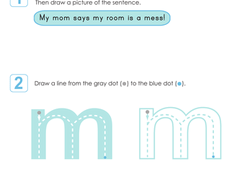 Have your little writer practise tracing curvy lines. 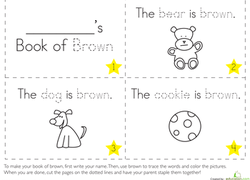 This worksheet is all about helping your preschooler or kindergartener recognise, trace, and write the lowercase letter m.
Help your preschooler or kindergartener learn about finding and writing the lowercase letter r.
Work on writing the lowercase letter z with your reception or year one student. 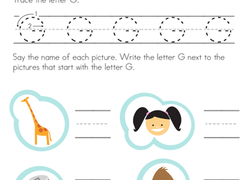 Grab a pencil and get started writing the lowercase letter g with your kindergartener or preschooler. 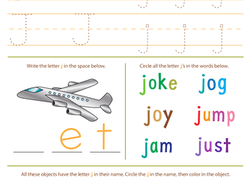 Jump into learning letters with this fun lowercase letter writing worksheet and introduce the letter j to your year one or preschooler. 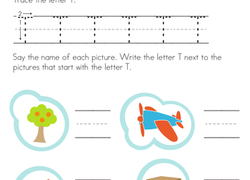 On this prekindergarten writing worksheet, kids trace the letter T, then write the letter next to pictures whose names begin with T.
Tracing letters is the first step to building great handwriting skills! 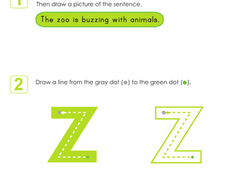 practise tracing vertical and horizontal lines with this starter page. 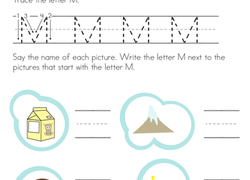 On this prekindergarten writing worksheet, kids trace the letter F, then write the letter next to pictures whose names begin with F.
Milk, mountain, and monkey all begin with M! 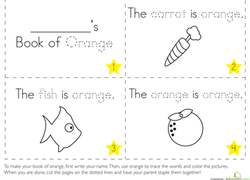 On this prekindergarten writing worksheet, kids trace M and write the letter next to pictures that begin with M.